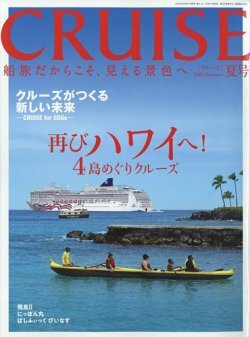 1985年、South Africa Marine Corporation, Cape Townにより発注されたが、竣工前の1986年にStaple Corporation, Port Louis, Mauritiusに売船。1986年5月進水、1987年1月に竣工。竣工後はHamburgからGenoaを経由して南アメリカまで航海し、カリブ海を中心にクルーズを展開した。1988年、Black Sea Shipping Co., Odessa, USSRに売船されてFEDOR Dostoevskiyと改名。1988年、Transocean社により傭船。1990年、Neckermann Seereisenへチャーター。1991年、Fedor Dostoevskiy Shipping Co., Nassau, Bahamasへ移籍。1995年、Aqua Marineにより傭船されてAstorと改名。後に1996年、Astor Shipping Co., Nassau, Bahamasに移籍。Transocean Tours Bremen, Germanyによりチャーター。2009年5月15日、Copenhagenにて座礁、暫くして自力で離礁、2010年、Astor Premicon Hochseekreuz, Muünchen, Germanyに売船。船籍はNassau, Bahamas. Built in 1988. Renamed to Feodor Dostojevskiy and used by various companies.